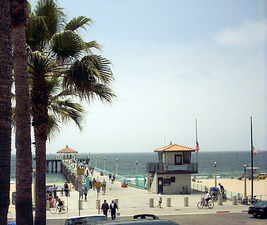 Welcome to Manhattan Beach - a city of lovely homes on tree-lined streets, year-round sunshine and beautiful beaches; a city of fine schools and places of worship; a surfer?s paradise; and a city filled with friendly people who are proud of our town, our pier, and our heritage.Manhattan Beach has it all. A shopper?s delight with an array of shops, boutiques and major department stores found throughout our downtown and north end business districts, the Manhattan Village Mall, and lining the boulevards of Sepulveda and Rosecrans. Dining choices are nearly endless. Whatever you desire to eat, you?ll find it superbly prepared at one of Manhattan Beach?s fine restaurants.Take a walk along the strand, walk the length of the pier and explore the local water life in our mini aquarium, meander the streets of our downtown district and enjoy the pleasant, relaxing atmosphere of our unique beach side community. 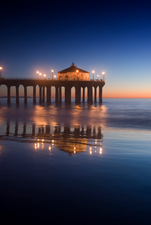 As home to beach volleyball, each August we host the Manhattan Beach Open, the oldest, most prestigious professional volleyball tournament. The City boasts a private tennis club and a 9-hole golf course. 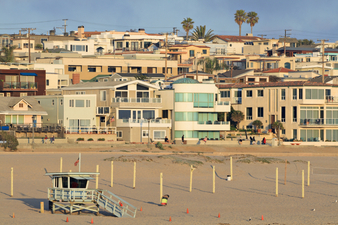 The community provides a multitude of activities for its residents, including surfing and beach volleyball along with a variety of sports activities in its seven parks. Polliwog Park is the setting for Sunday afternoon concerts during the summer months and is the site of the Manhattan Beach Historical Society, a man-made lake and most recently the addition of the ?Braille Trail?. 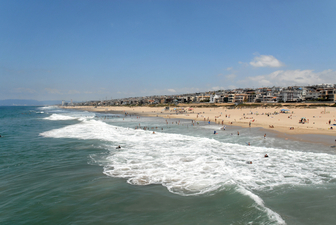 Manhattan Beach, with its rich past, exciting present and promising future, is primarily a residential community. 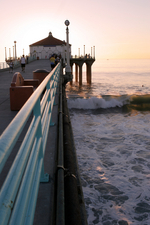 Making you feel at home is one of the things Manhattan Beach does best. With its small town living atmosphere, it will steal your heart, relax your mind and warm your spirits.